For many years, Amazon&apos;s key advantage over other retailers came from not having stores. The lack of physical locations allowed the company to have a lower cost of operating than its bricks-and-mortar rivals. This let the pure-digital retailer charge less because it did not have to price items to pay for expensive retail locations in high-priced, well-trafficked areas. It was an advantage that allowed Amazon to grow quickly and win business from key low-cost rival Wal-Mart . Now, it appears that the online retailer may be set to make its move into opening at least one store. If the rumors are true, it&apos;s a move that&apos;s overdue even if it means giving up what had been a competitive advantage. What is Amazon doing?The online retailer, which has opened pop-up stores and retail kiosks previously for limited periods of time, appears to be readying a full, permanent retail store in Seattle, according to a report on GeekWire. The technology site could not fully confirm the pending existence of the store, but it presented credible evidence of a shop that would "combine elements of anApple store and a Barnes & Noble, with areas for browsing books and checking out and buying new devices." Why is this a good idea?Few would argue against Amazon opening a flagship store in its home market. The creation of such an outlet would allow the company to get hands-on consumer feedback on its electronic devices in a retail setting and it would serve as a destination for people visiting the area. I believe however that a Seattle location should serve as a prototype for the company to roll out retail stores in select markets around the country. While this was a bad idea just a few years ago, Amazon has built the infrastructure in the United States to support this offering and it has the customer data to make the shops uniquely efficient. 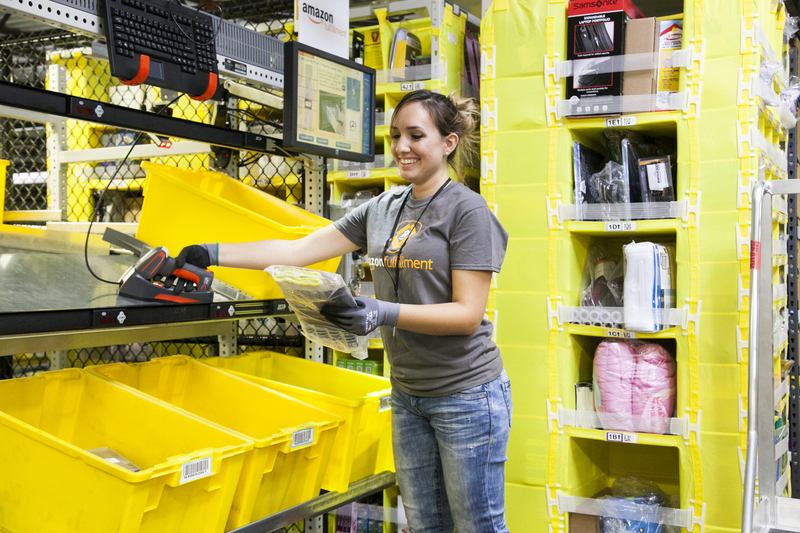 Over the past few years Amazon has opened up warehouses and distribution centers all around the country. These could easily serve as a supply hub for the stores with little added extra cost. In addition, Amazon has also pioneered the use of predictive technology to allow those warehouses to pack certain orders before they are even placed. That technology, along with the company&apos;s extensive knowledge about what people buy when would allow it to stock stores hyper-efficiently. But isn&apos;t it expensive?Amazon should not follow Wal-Mart&apos;s model and blanket the country with stores. Instead, it should open a few hundred, making each one an event and a destination. In addition to showcasing Kindle, Kindle Fire, Fire TV, Echo, and Amazon Prime, the stores could also offer the Amazon Basics line of cables and accessories. More importantly perhaps, the stores would serve as a customer service hub -- a place where the company can launch its own version of the Genius Bar -- to tighten its connection with its customer base. Amazon has the ability to create stores filled with a selection of merchandise it more or less knows will sell. It also has a product line -- especially the high-end Kindle Fire tablets, Echo and the associated home-automation products that could work with it -- that would sell better if people could interact with them. Yes, opening stores will cost money, but if the locations are kept special they should be able to produce huge returns. Amazon should not open on every street corner. It doesn&apos;t really need stores to serve as return locations or as delivery spots. It has however become a powerful enough brand that a small number of gleaming, modern Amazon shops would pay off, adding to the brand&apos;s value by building on its strengths in a new environment. The article Here&apos;s Why Amazon&apos;s Move Into Physical Stores Makes Sense originally appeared on Fool.com. Daniel Kline owns shares of AAPL. He buys something from Amazon nearly everyday. The Motley Fool owns shares of and recommends AMZN and AAPL. The Motley Fool owns shares of BKS. Try any of our Foolish newsletter services free for 30 days. We Fools may not all hold the same opinions, but we all believe that considering a diverse range of insights makes us better investors. The Motley Fool has a disclosure policy.